Similar to Apple iTunes, Google hasn’t released any official application to manage an Android device from the comfort of your desktop. 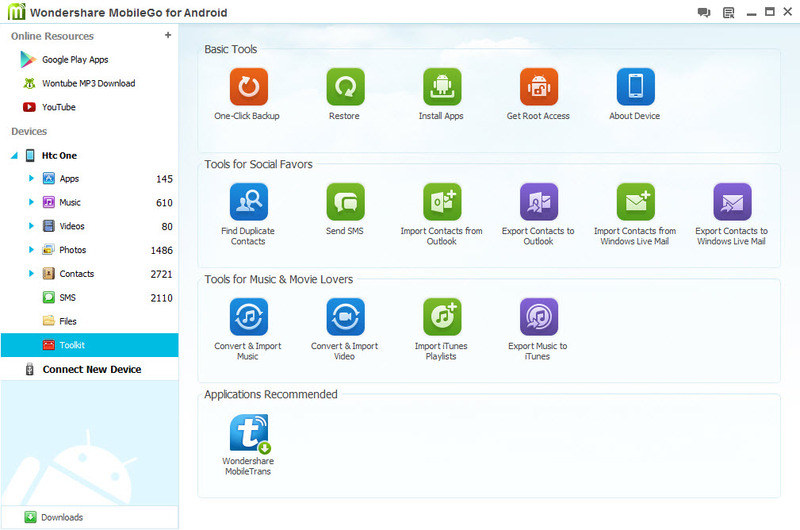 Android is certainly one of the biggest Mobile OS today and hence majority of Android users are looking for essential programs to manage their Android phone or tablet from their computer. 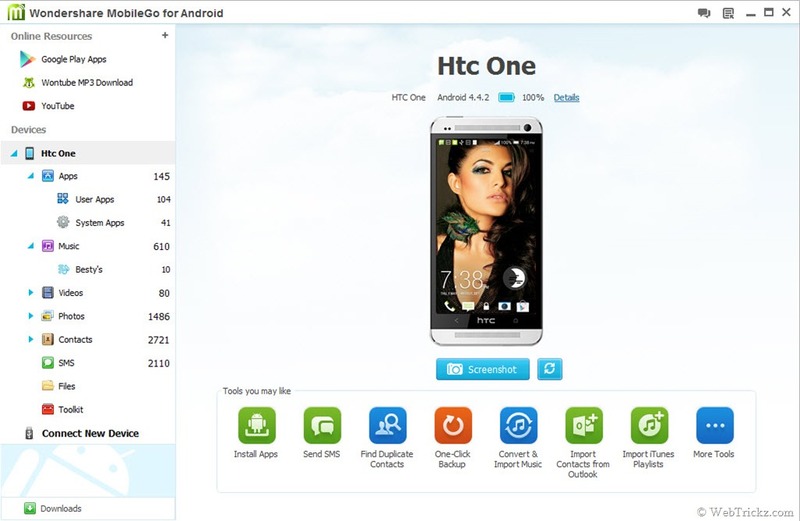 Even though there are some free tools to manage an Android phone on Windows PC but they only offer limited functionality. While those using a MAC have the only option to use Android File Transfer, an official app to transfer files between a Mac and Android but with limited options and non-user-friendly interface. Today, we’re sharing about a useful and one of the best Android phone manager that makes it a lot easier to manager your Android device, both on Windows and Mac. 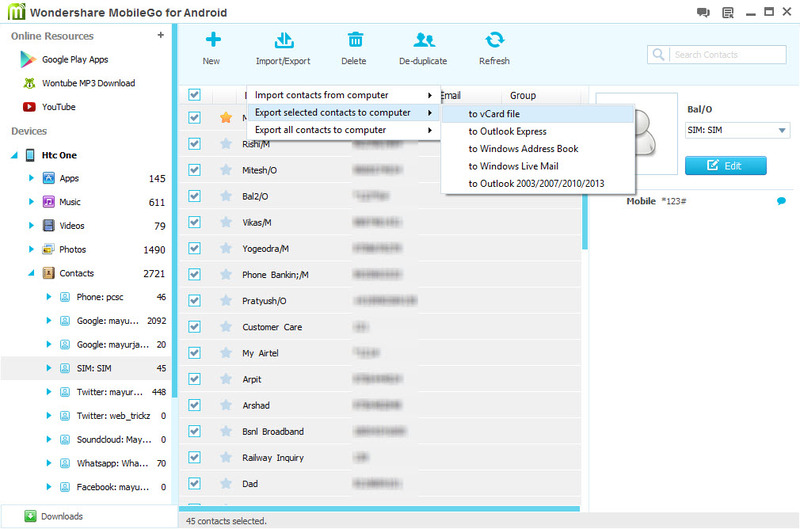 Wondershare MobileGo for Android is a smart and full-featured Android manager software for Windows and Mac to easily manage your Android smartphone and tablet on PC. 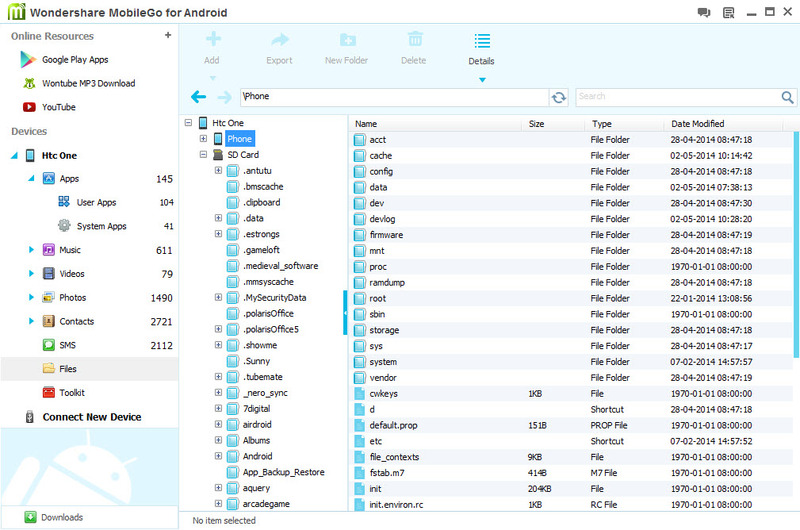 To clear the misconception, this is not an Android app but a desktop application to manage, backup, and organize your digital content. What’s noteworthy about MobileGo is that, it’s extremely easy to use with a user friendly interface, such that even an inexperienced PC user can use it very well. It shows entire stuff from your phone in a cool and hierarchy form. 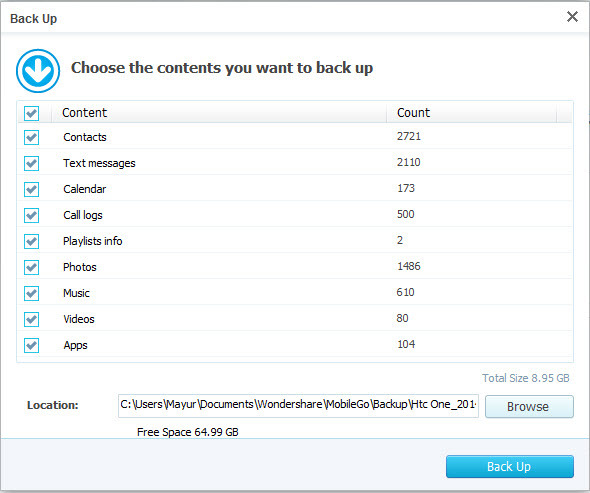 Why Backup Data? A memory card is a very unpredictable thing and thus one must take precaution of their important data such as documents, contacts, messages and priceless photos. Hence, instead of relying on phone’s storage or SD card you must transfer all the important stuff to a PC’s hard drive, so that you can recover it anytime in case of a mishap. 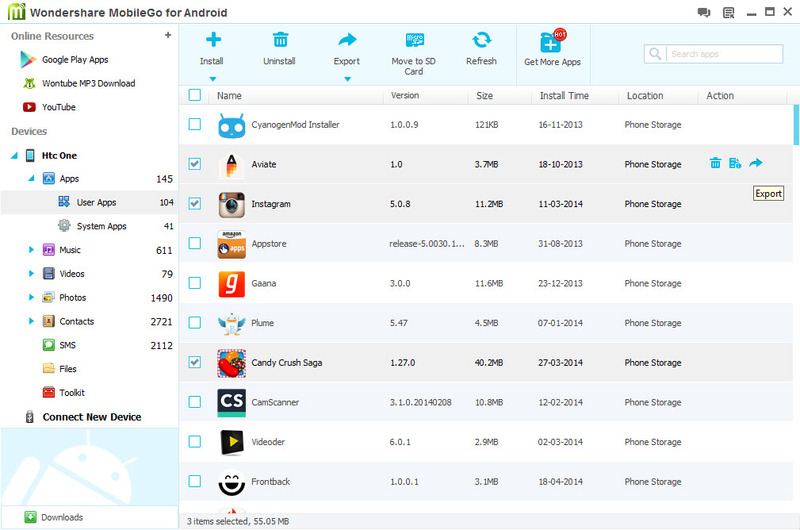 Wondershare MobileGo for Android will help you in this regard. 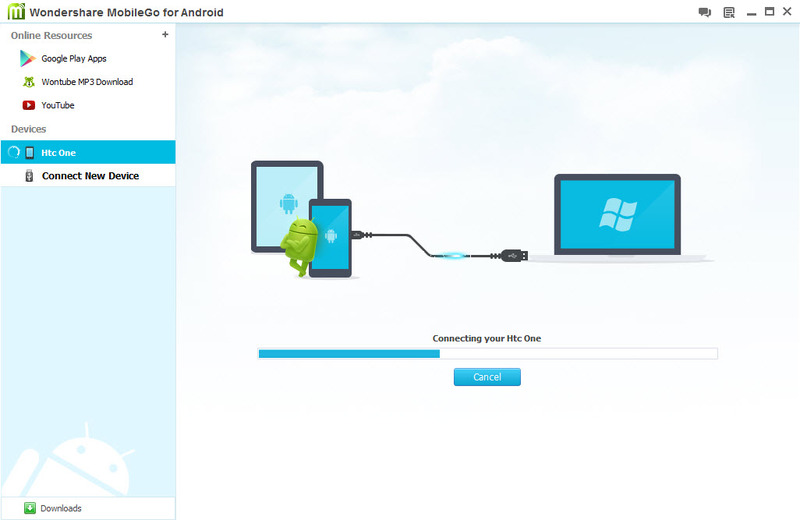 Users can connect their device over Wi-Fi or using a USB cable to transfer content to and from their Android device. You aren’t just able to transfer common files like images, videos and audio files but you can also import or export technical stuff including SMS, contacts, playlists and even Android apps and games (APK) with data. One can instantly install apps on their phone via APK file in just one click and you can even batch uninstall multiple apps, including the preinstalled ones (requires root). In case your device is running out of internal memory, then you can move apps to SD card to free up the space and speed up your phone. 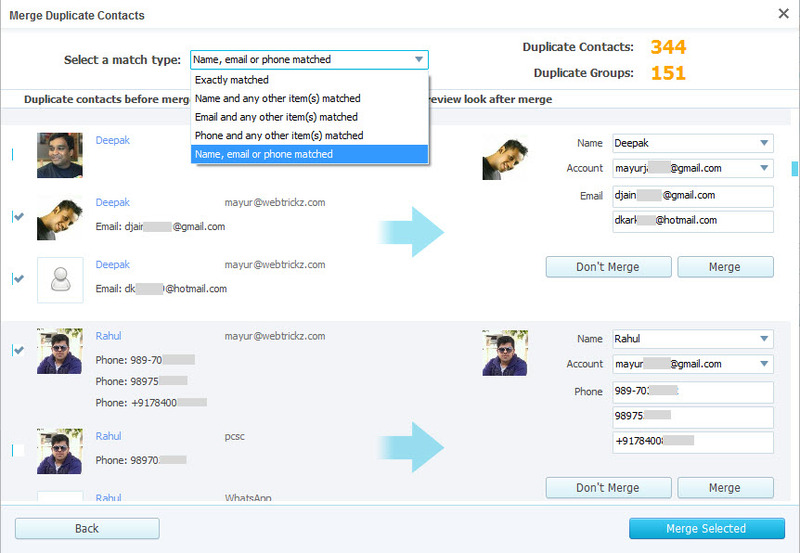 There is another impressive and rare feature that MobileGo offers. You can effortlessly transfer an iTunes playlist to Android devices and export music to your iTunes library. 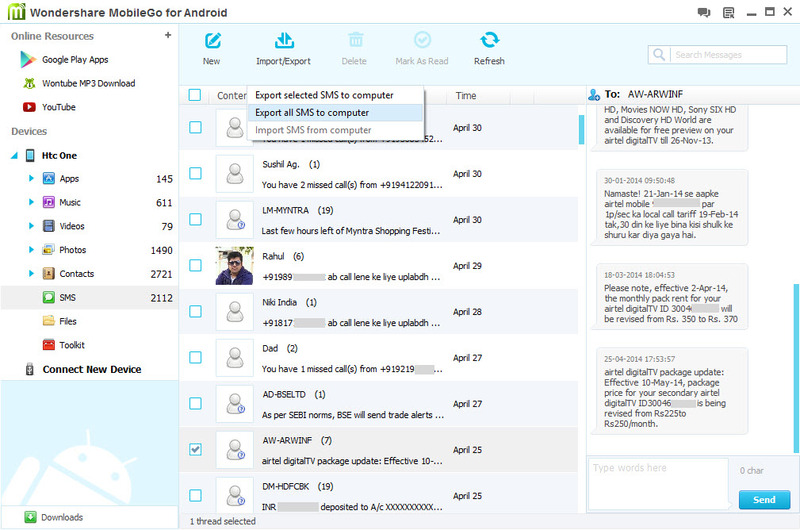 It has a very handy function through which you can group text, send/ receive messages and manage phone calls directly from your computer. If you are thinking to spend money on buying a video conversion software to convert videos for your Android phone then you don’t need to. Because, this software has a built-in video converter that can convert videos between standard video formats and can extract audio from your desired video file as well. It performs the conversion task in the background and adds the file directly if it is already in MP3 format or if a video is in Android supported format. Online Resources – 1 click to download apps and videos from Google Play, Wontube, etc. Check Device Info – Serial no., IMEI no., bootloader and baseband version, etc. Support – You won’t experience any compatibility issue as it supports Android 2.0 to Android 4.4 and nearly all mainstream smartphones and tablets. Supports the latest Microsoft Windows OS such as Windows 8.1/8, XP/Vista/7 and all Mac OS X versions as well. Verdict – Though it is a paid software ($39.95), but it’s powerful and really useful for non-technical users who are serious about their device data, specially those using Mac.